A quick view of the most influential metrics in Sacramento. Sacramento is a star on the map as the capital city of our golden state. 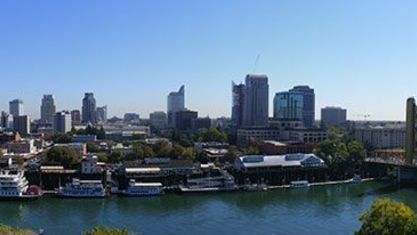 The city is at the confluence of the Sacramento River and the American River, in the northern portion of the expansive Central Valley. Sacramento is the sixth-largest city in California, and the 35th largest city in the United States. Sacramento is the cultural and economic core of the area, which includes seven counties and a population of approximately 2.5 million residents. The Sacramento area is the fourth largest in California after the Greater Los Angeles area, the San Francisco Bay Area, and the San Diego area, and is the 27th largest in the United States. California State University, Sacramento, more commonly known as Sacramento State or Sac State, is the largest university in the city and one of 23 campuses in the California State University system. University of the Pacific's Sacramento Campus is a private university with one of its three campuses in Sacramento. In addition, the University of California, Davis, is in nearby Davis, 15 miles west of the capital. The UC Davis Medical Center, a world-renowned research hospital, is located in the city of Sacramento. View our selection of available properties in the Sacramento area. Check out the latest demographic information available for Sacramento. Get to know Sacramento better with our featured images and videos. Browse through the top rated businesses in the most popular categories Sacramento has to offer.